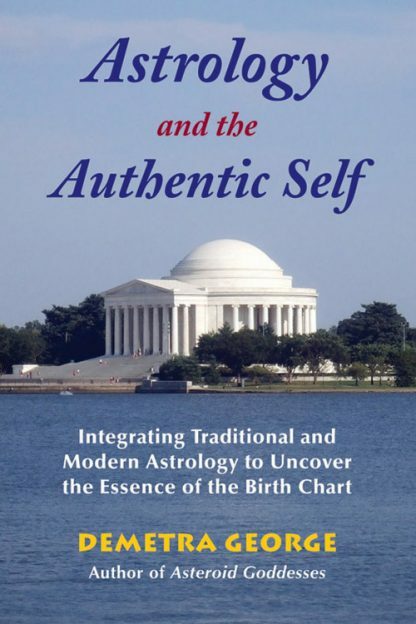 Astrology and the Authentic Self is a ground-breaking work by Demetra George, one of the most the respected authors in her field. This book provides a model for the practicing astrologer to analyze a client's life purpose as indicated through the natal chart. It addresses significant concerns, such as relationship and vocation and provides methods for determining current timing movements. She gives the methods to communicate this complex information in a concise and professional manner within the context of an astrological counseling session. Ms. George provides an excellent introduction to the doctrines of ancient astrology concerning how to determine the condition of a planet and its capacity to be effective and produce favorable outcomes. She outlines how to follow these traditional guidelines, but interprets them within a modern context, adding the insights of more contemporary approaches. * An introduction to the doctrines of ancient astrology showing how to determine the condition of a planet and its capacity to be effective and produce favorable outcomes. * A procedure for following these traditional guidelines, but interpreting them within a modern context and adding the insights of more contemporary approaches. * Bridging the gap between what the astrologer knows and what the astrologer says to the client. * A section on counseling guidelines from the perspective of the astrologer as healer. * A supplementary correspondence course that includes personal tutoring sessions. Demetra George, halds a B.A. in Philosophy and M.A. Classics, received the 2002 Marion D. March Regulus Award for Theory and Understanding. A practitioner of astrology for over 30 years, she specializes in asteroids, archetypal mythology, and traditional astrology. She is also coauthor of the best-selling workbook Astrology for Yourself and Asteroid Goddesses with Douglas Bloch. Ms. George is the Director of THEMA: Foundations in Astrology which offers integrated programs and traveling symposia for individuals and small groups in the history, mythology, and techniques of Hellenistic and Archetypal astrology. Readers may contact Demetra George at dgeorge@orednet.org.